Posted on Friday, February 16th, 2018 at 4:48pm . 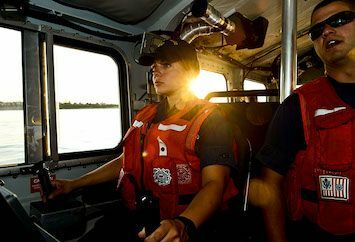 Currently, the Coast Guard Reserve has about 8,000 men and women in service, most of them integrated directly with regular Coast Guard units. Be sure to check out Reservist Magazine online,for more information about the Reservist lifestyle. Elizabeth City, NC: A scholarship opportunity for Coast Guard dependents is available through the Coast Guard Spouses’ Club. Applications are due April 6, 2018. For an application, please contact scholarshipcgscec@gmail.com. 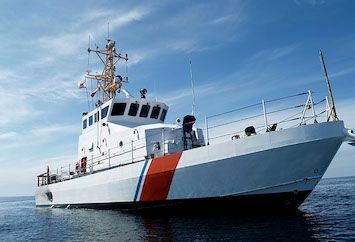 Grand Haven, MI: The Coast Guard Craft Fair will be Aug. 3-4. Join them for one of the most popular craft fairs in Michigan, held during one of the state’s biggest festivals—The Grand Haven Coast Guard Festival. Quality exhibits, high attendance along with the Coast Guard parade, and fireworks all mean you will have a successful event, and a great time while you’re there! Portsmouth, VA: If you’re a runner, you can show a little Coast Guard love by participating in the 4th Annual Road Rage Events Cutter 10K or the Coast Guard 5K on August 4, 2018. There will also be The Sea Otter ¼ Mile Dash for kids. Do you know anyone in the Coast Guard Reserve? Share with us in the comments! Thinking about looking for a new home because of a PCS move? Start your search with us!